Ah another Monday, the worst day of the week IMO. I wish it were Sunday, cuz that's my fun day, my I get to run to Target day. But Monday, SLAM, back to the grind. Last week we had a geography lesson and a religion lesson, today let's do history and reading/language arts. 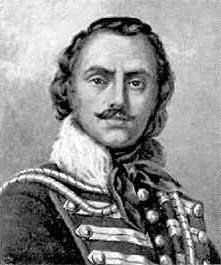 Casimir (Kazimierz) Pulaski Day, a holiday observed in Illinois on the first Monday of every March. Casimir Pulaski was a cavalry officer born March 4, 1747 in Poland as Kazimierz Pułaski. He is known for his contributions to the U.S. military in the American Revolution by training its soldiers and cavalry. The day is celebrated mainly in areas that have large Polish populations and Chicago has the largest Polish population of any city in the world, except for Warsaw, Poland. Yippee, another day for PACZKI and maybe some golabki (stuffed cabbage rolls), kapusta (shredded cabbage and sausage) and pierogi (stuffed dumplings slightly resembling Italian ravioli). Today is also Theodor Geisel's birthday! You're kidding right? Name doesn't sound familiar? How about this? I am Sam, Sam I am. I do not like green eggs and ham. Right! It's Dr Seuss. the Cat's hat and after nap we'll sit and watch Horton Hears a Who. Here's a cute Meme I saw at Stacy's Random Thoughts. "Make Your Own Album Cover." 1. Go to Wikipedia. Hit "random." The first random Wikipedia article you get is the name of your band. 2. Go to Random Quotations. The last four or five words of the very last quote of the page is the title of your first album. 3. Go to Flickr . The third picture, no matter what it is, will be your album cover. 4. Use PhotoShop or a similar program to put it all together. Here's mine, see if you can notice what a dumbass I am. I'll just call it artistic freedom and not worry. Spelling wasn't part of the lesson today! You'll want to come back tomorrow for a special Tuesday's Tribute! 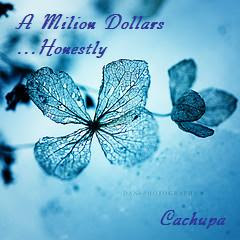 Well, million is spelled wrong:). Anyway, I had forgotten about Pulaski day, I only learned about it last year and my only Illinois blogging friend actually moved out of Ill. So, now I have a new friend to remind me of Pulaski day. Sounds like a yummy Monday, if nothing else! Now I have the 'Manic Monday' song running through my head...LOL!! pierogis = YUM! I didn't know about that holiday. Look how edumacated I'm getting by popping in here! And i dont sea any errors in yer booke covr! I forgot today is Dr. Suess day! I would have remembered if there was school, but since I am blissfully home in my bathrobe I did not. Did I mention I am HOME? And in my robe? Ahh yes, Pulaski...I knew him well. I may even be related to him, seeing as half of Poland is my cousin. I do not like green eggs and ham, I do not like them sam I am. You really did fail that spelling test didn't you? Lordie be. Tomorrow's the BIG DAY!!!!! I can't wait! I love me some Dr. Seuss. Did you see the Google search engine today? Super fun tribute to the Seuss. Very fun. 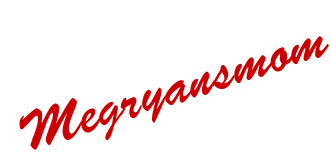 I like my Monday lessons here on The Avenue, Megryansmom. I'll try not to be late for class next time. The thing that gets me is most kids don't even know why they have off today. My son does, because he is a total history freak, but his sister had no clue. 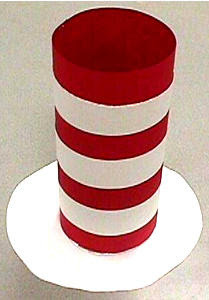 have fun with the dr suess hat, we LOVED Horton hears a who. How fun, the google ads on top of your post are for cabbage rolls and polish food!! Wish I was eating at YOUR house! Did you send the piles of snow we got today our way just so my kids could share in your no school Pulaski day?????????? Well it worked. Great, I am now hungry for eggs, ham, and pierogies. I love the Sues Hats! They are great! I hear you on the Monday thing and love how you fit target into it all! Each week needs a Monday. I say face it head on and move on from there! Happy birthday my beloved doctor.